Here’s a lovely happy card for you today! The papers were free from Making Cards magazine (some time last year). 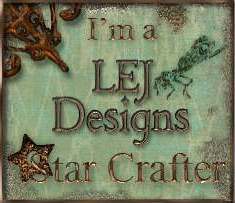 Thanks for looking, I love to read your comments so please let me know what you think. 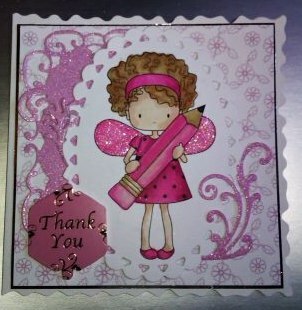 This is a coloured digistamp from Polly craft at Little Miss Muffet. 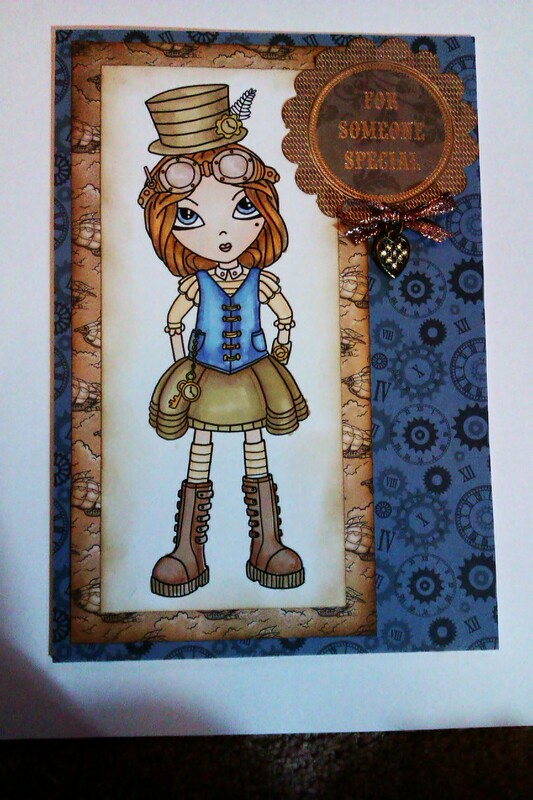 The backing papers and sentiment are from Kanban and the charm from a broken necklace! 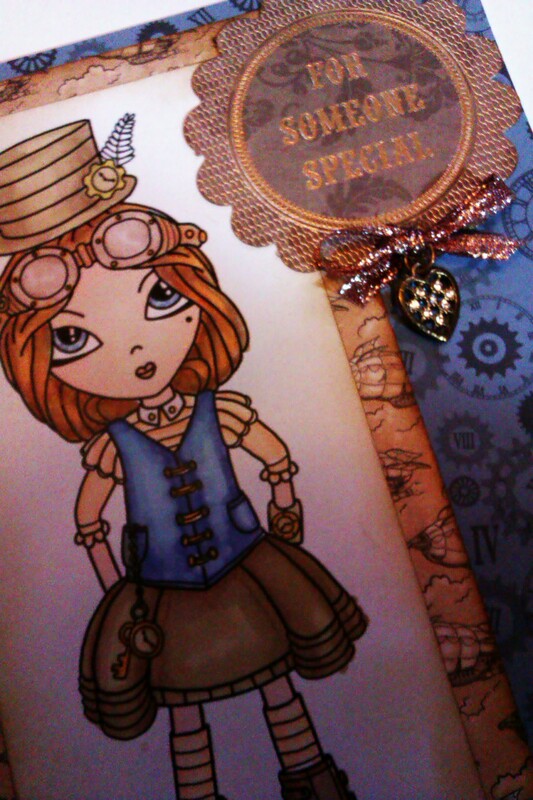 The ribbon was a silver trim from a Christmas cracker, whic I then recoloured with a promarker. 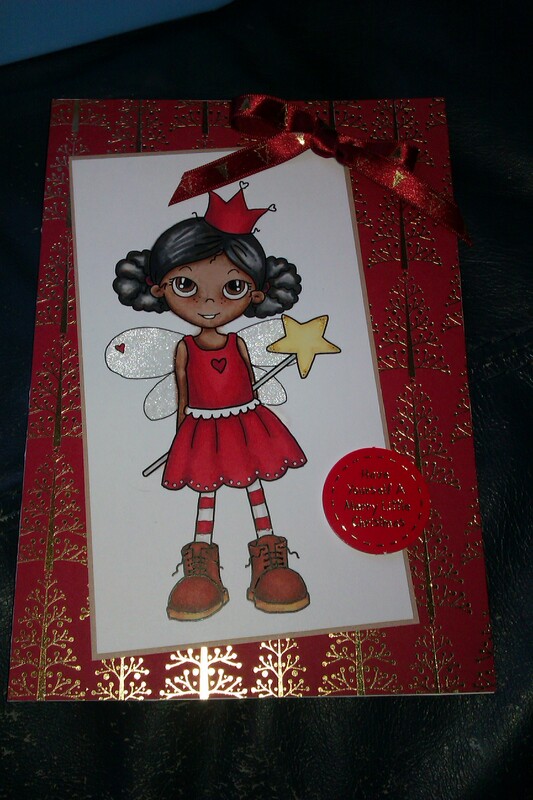 Here is a card made using a Pollycraft digistamp and coloured with Promarkers the sentiment was left over from a Hunkydory kit and the scraps of glitter paper were left over from a pack bought las christmas from C & C.
I just love this image and it coloured so well (with my trusty Promarkers!) I was pleased with her black hair and the red of her dress. 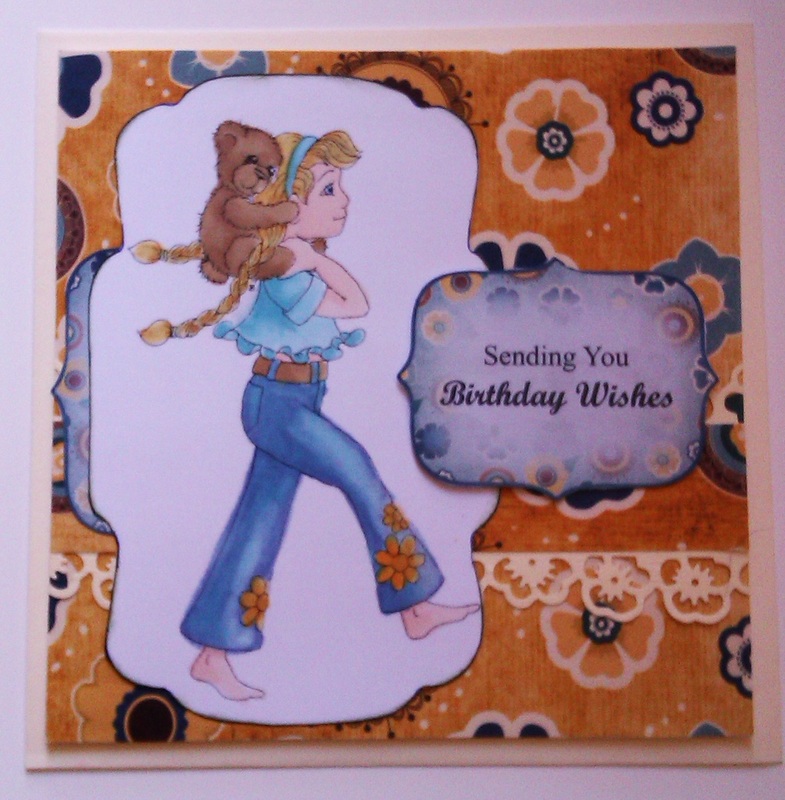 Cute Card Thursday – Girls only! 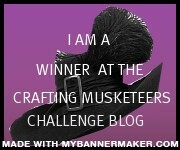 I was delighted to win some Little Miss Muffet digis recent from their new range – I did it by showing the banner to the side. Then they asked me to guest design for their latest challenge “Neapolitan Ice Cream”. So here are the three cards I created or please look at the link above to see what the other designers came up with. Made with the Little Miss Muffet digi called Summer Breeze and free papers from Making Cards Magazine as guest designer for for the Little Miss Muffet Challenge: Neapolitan Ice cream. Made with the Little Miss Muffet digi called Summer Breeze and free papers from Making Cards Magazine for the Little Miss Muffet Challenge: Neapolitan Ice cream. I though that the caption was amusing though the ough moe fitting to last week’s weather than this week’s.